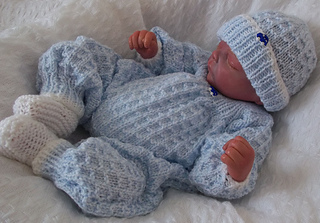 Early Baby 5-7lb/Reborn Doll 18-19"
A cute, fun design in time for the festive season. 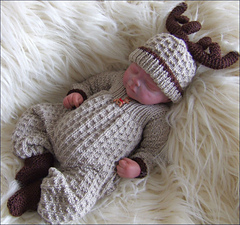 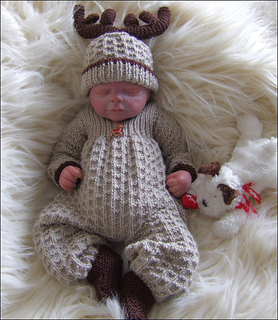 Outfit consists of an all in one back button fastening romper suit, bootees, brimmed hat and optional reindeer antlers. The antlers are knitted seperately, lightly stuffed and stitched to the top of the hat. 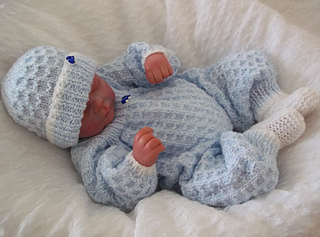 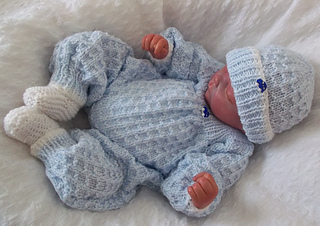 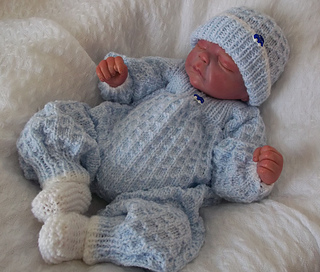 The outfit knits up quickly using approx 130gms of DK (Light Worsted) yarn and is suitable for an early born baby 5-7lb or a reborn collectable doll 18-19”.